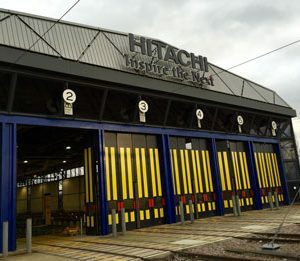 Weighwell Engineering Ltd are a global manufacturer and supplier of portable train weighing systems in the rail industry with hundreds of systems worldwide. The Portable Train Weigher (PTW) is quite simply a train weighing system that isn’t permanently fixed into the track or foundations. This allows our weighing systems to be installed easily and quickly and used in multiple locations. 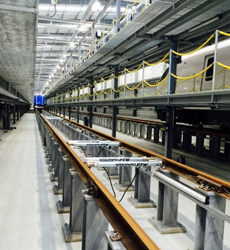 The PTW can weigh a variety of rail vehicles either statically which is suited to the train maintenance market or in-motion which is ideal for the rail freight market. 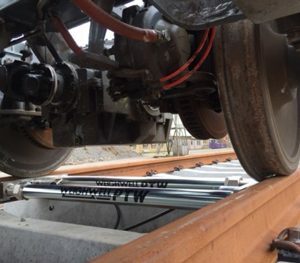 Weighwell’s static train weighing systems operate using our easy to use industry leading train weighing software (ptwX software) and can weigh the individual wheels on axles, the bogies of the rail vehicle and the full vehicle. 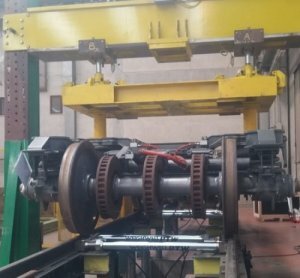 The benefit of using multiple baseworks is that you can understand the weight distribution across the total vehicle when performing pre or post modifications which is crucial in the manufacture and maintenance of passenger trains. Weighwell’s in-motion train weighing systems can be installed within 15 minutes and weigh a variety of rail freight vehicles with axle loads up to 40 tonne. Perfect for the aggregate industries such as cement, coal and metals we can weigh trains at speeds up to 3mph (5kph) and provide individual wheel weights, axle weights and wagon weights. This is beneficial in highlighting any dangerous overloading or rail vehicle imbalance.